If you're anything like me, you live for fall time and doing all the fun traditions that come with the season. Living in SoCal, we unfortunately do not get much of a fall like other states are so lucky to get. It's already mid October and it's supposed to be another warm day here, *sigh* - where are you fall weather?!? 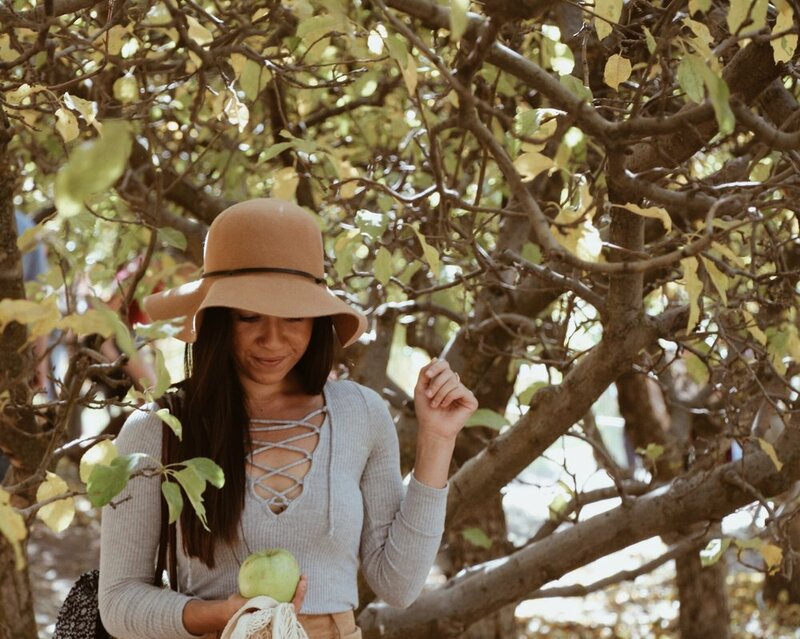 The only way to get myself in the fall spirit is to do anything and everything that one is supposed to do this time of year, like apple picking! I had never been apple picking before since most orchards are a good 2+ hours away from where I live and was never really willing to make the drive in the past. This year, however, I kept seeing photos on Instagram of fellow bloggers going apple picking and would tell myself how fun it looked! So, this past Saturday, we decided to make the 2 hour drive to Riley's Apple Farm in Yucaipa - and it was definitely worth it! Entry into the apple orchard is free but they do offer fun activities such as cider pressing and archery that you can pay to do! We did not take advantage of any of those activities since we arrived a little later than planned and really just wanted to take advantage of the apple picking. The orchard that was available for the U-Pick was the granny smith orchard which was perfect since I had plans on using the apples I picked for an apple pie! 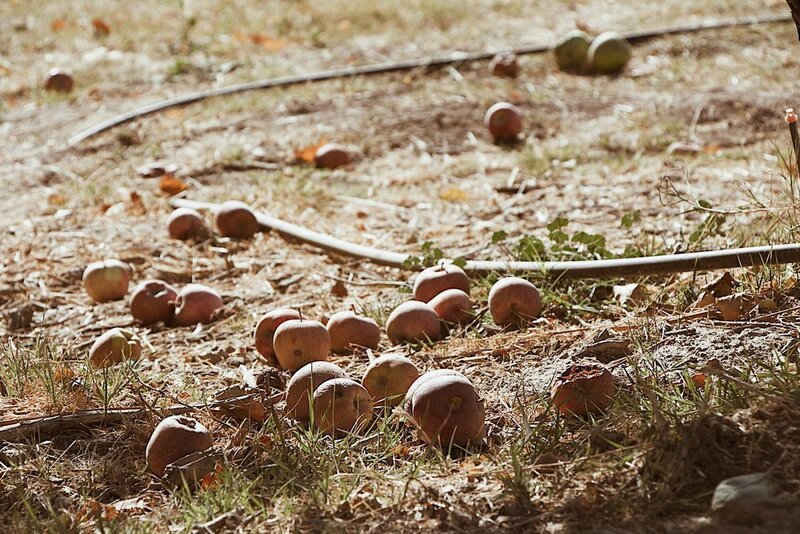 Unfortunately, a lot of the apples had already fallen onto the floor so there was not as much picking from the trees like I had hoped for, but it was still such a blast!